Tune in to WKCR 89.9 FM NY on Thursday, March 10th as we dedicate a full day of programming to celebrate the anniversary of Bix Beiderbecke’s birthday. Cornetist, pianist, and composer Leon “Bix” Beiderbecke (b. March 10, 1903 in Davenport, Iowa) was one of the great musical innovators to emerge in the 1920s. One of jazz’s earliest soloists, he is of enduring importance to the dynamic history of jazz. A self-taught musician, Bix joined a seven-man group called the Wolverines in 1923, leaving the group in a year later to play with the Jean Goldkette orchestra. In 1927, he joined the most popular band of the time, the Paul Whiteman Orchestra, the band of the self-proclaimed “King of Jazz.” Cornetist Rex Stewart recalled, “Didn’t sound like Louis or anybody else. But just so pretty, and that tone he got. 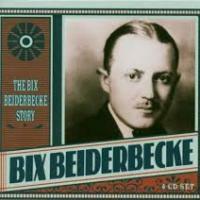 Knocked us all out.” But in 1931, Beiderbecke passed away at the age of twenty-eighth. He became “Jazz’s Keats” as Dorothy Baker’s novel, A Man With a Horn, and subsequent Hollywood films mythologized him as jazz’s fallen hero. Beyond the legend, we remember him for his curious, extraordinary style and pure, cool tone. Bix lives!